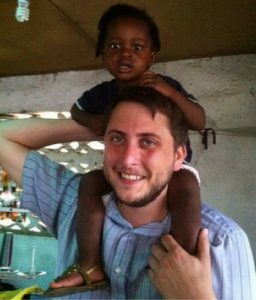 The first time Dr. Mike Davis ’08 went to Liberia, he figured it would be a good opportunity to enjoy traveling and provide medical care. What he didn’t foresee was that he’d fall in love with the landscape and the people of the West African nation so much that he would jump-start the respiratory therapy profession there. Michael Davis ’08 came to love the people and landscapes of Liberia. On his first trip to Liberia in January 2011, Mike helped start a clinic in an all-girls school and worked in a de-worming program for orphans. Seeing the need for respiratory care, he knew he wanted to go back. He postponed a new job and PhD program so he could return to Liberia in August 2011. Mike worked at various hospitals, eventually landing at Liberia’s national hospital, John F. Kennedy Medical Center, in the capital of Monrovia. He thought he was probably the only respiratory therapist in the country until he finally met Joseph Moore, a Liberian who had worked in respiratory therapy in the United States. Joseph had returned to Liberia to help build up its medical infrastructure after devastating Civil Wars. “We hit it off from the start,” Mike said. Things moved quickly from that point. Mike started his job at Virginia Commonwealth University (where he later earned a PhD) in January of 2012. In July of that year he and Joseph opened the Liberia Respiratory Health Care Institute, a school that trains respiratory therapists. The first class of nine students graduated in the fall of 2015. Already, they’ve made a difference. The second class will graduate soon. Mike Davis (center), sees a patient along with a graduate of Liberia Respiratory Health Care Institute and Scott Dwyer (far right), a colleague and co-founder of Partner Liberia. 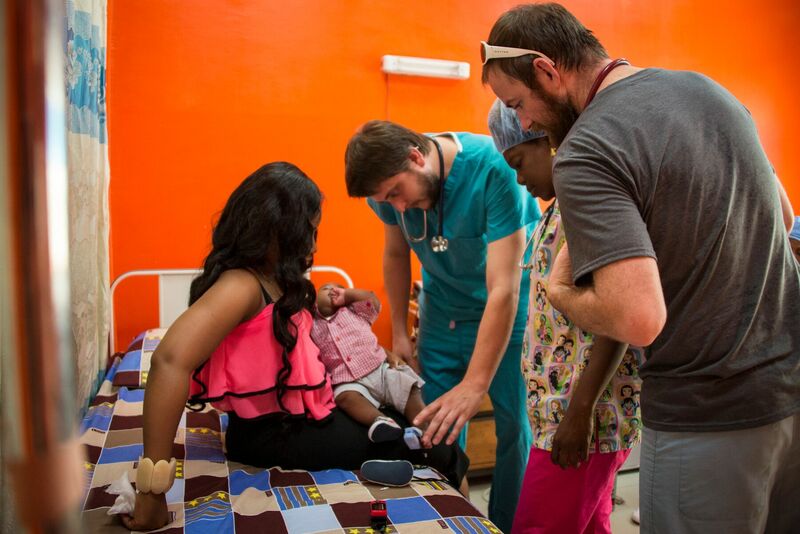 Mike, who is currently an assistant professor of pediatrics at the Medical College of Virginia at VCU, also founded Partner Liberia with best friend and researcher Scott Dwyer. The nonprofit is committed to advancing respiratory therapy, eradication of parasitic worms, and green energy solutions in Liberia. Mike hopes to eventually involve Lynchburg students in his work in Liberia. “I definitely intend to try to involve students with his,” he said, “and LC is a place with which I would like to do that, to make this an educational opportunity for students who want to experience work internationally, especially with the underserved. Asked about how his experience at Lynchburg prepared him for all of this, Mike credits the College with helping him learn how to keep all the balls in the air, so to speak. When Mike came to LC, he was working full-time as a respiratory therapist, something that could make scheduling classes — sometime even attending them — difficult.